Published in 1866, and a rare 1st edition, this lovely book is subtitled 'A Collection Of Various Methods For Capturing Birds, Beasts, Vermin, and Fish; Together With A Great Variety Of Recipes Of All Kinds Useful To The Fisherman And Sportsman', To Which Is Added 'A List Of Recipes For The Management And Cure Of Dogs In Disease'. Profusely illustrated. While the latter sections on shooting and dogs are somewhat dated, the angling information such as 'how to tie flies for pike', is fascinating. 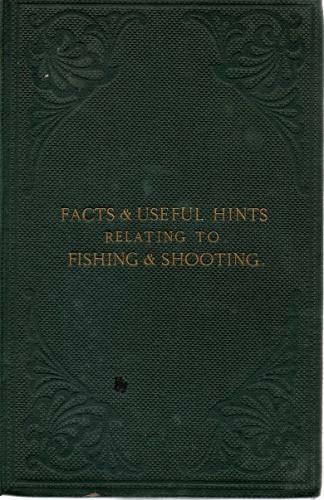 In decorative green boards with gilt titles this is an attractive book, tightly bound; a vade mecum of facts and hints. One small bookplate.